It’s early morning (and I mean early, just after 6 a.m.) and the sun is streaking through the branches of a few stately pines that border the property of the Nestleton Waters Inn, the second stop on a FAM (familiarization) tour of three tourism regions in central Ontario. It ran from July 9 to 16. The 93-acre property is located near Port Perry, about an hour north and east of Toronto. It’s a hidebound place, and unique in so many ways: it’s owned and operated by the Kiezerbrink family in what was once a farmhouse but has now morphed into a spectacular 10-room bed-and-breakfast. Each room is customized to a unique theme, and the carriage house is a cutesy add-on. Yet the real star is the property itself, a bucolic, tree-lined, eco-friendly playpen. At its centre is a pond that bubbles up with plumes of fresh water from springs that feed it from below. In essence, it’s a giant fresh-water Jacuzzi. On this morning, the mist is still rising on the lake on what promises to be a blue-eyed, Chamber of Commerce day. This is Canada writ large, and James Mason, a 54-year-old graphic designer and golf writer born in Liverpool but raised in London, England, stands in bathing trunks and toeing the brand new dock that reaches out like a formidable finger into the bubbling waters. He’s preparing for an early morning swim in hopes of shaking off the effects of some pints of Canadian lager consumed in earnest the night before. When he emerges from the water, he is nearly breathless and totally reinvigorated. Mason’s plunge into the pond wasn’t just an eye-opener for him, but symbolic of the trip itself. A troupe of travel golf writers and golf tour operators from Germany, the U.K., the U.S, Spain, and yes Canada (me) plunged into the waters of the Canadian golf world in one of the first-ever FAM trips sponsored by three tourist regions of Ontario. The participant’s responses to the weeklong stay were as invigorating to tour organizers as the magical waters of the Nestleton Waters Inn. This part of Ontario (and Canada in general) need not take a back seat to any other golfing destinations in the world, says Mason. Still, while golf in Canada is a $15 billion business, according to a study by the National Allied Golf Associations (NAGA), very little of it filters in from outside the country. Despite a rich demographic to market into and a marvelous country in which to showcase its wares, on the whole, the Canadian golf industry has done a lousy job of bringing outside interest (and money) through its borders – and that includes the biggest market of them all, south of the 49th parallel. This piecemeal marketing isn’t lost on our traveling troupe, especially Mason. He’s an accomplished golfer who has visited (and written about) courses all over the world. Yet Canada was never on his GPS – until mid-July. He’s mystified as to why. He was particularly taken by the “Englishness” of the Bay of Quinte Golf Club (Quinte West) and The Briars in Jacksons Point (Georgina Township) during his weeklong tour. “I feel like I’m at home when I’m in Canada,” he says simply. The reasons why Canada hasn’t tapped into the international markets is more complex, and Mason, a scrappy and honest Liverpudlian is unafraid to expose our weak spots as a golf tourist destination. Canada has never offered up its entire menu to writers or tour operators, or presented itself as a golf destination spot that can rival any other in the world, he says. What puzzles Mason is that golf tourists bring boatloads of cash and become the best sales ambassadors a foreign country can ever have. It’s a rhetorical question I can’t really answer. What he does say is that Canada is perfectly poised to become the next great golf destination – for two reasons: its portfolio is “second to none,” and the world is changing and becoming more dangerous. He points to Tunisia as an example. A few years ago, it was a red-hot golfing destination. The North African country had perfect weather and was located close to a huge and hungry European market. But the Arab Spring brought with it dark political clouds, and subsequent events (brutal killings) made it a no-go for tourists – golfing or otherwise. The same holds true in other suspect world markets, says Mason. It’s clear to him that Canada is politically stable, rich with golf courses and other world-class amenities, and best of all; it’s easy to access. “The time is now for Canada to grow its golf travel business,” he says. Perhaps that’s why organizers took the plunge and developed this first-ever FAM trip. Central Ontario (a consortium of three tourist regions, including Bay of Quinte, BruceGreySimcoe, and Central Counties) partnered with Toronto-based Golfstream Travel to make it go. Central Counties, under the leadership of Chuck Thibeault, and Golfstream’s William Motley-Bailey, put together the trip’s puzzle pieces that began at a giant media day to kick off the Pan Am Games’ golf competition at Angus Glen in Markham, the former two-time host of the RBC Canadian Open. A disparate group of golf writers and tour operators from four international locales (okay five, if you include me) began a rollicking seven-day ride through the three regions. Our off-course visits included trips to a craft brewery (Port Perry), a gondola ride to the top of Blue Mountain (Collingwood), a visit to the world-famous Canadian Tire Motorsport Park (formerly Mosport) in Bowmanville, and an afternoon fishing trip in the Bay of Quinte (Belleville). It looped back to finish up at the first round of Pan Am golf competition at Angus Glen. Being there as a Canadian golf journalist was a chance for me to see our country as others see it – a real gift. In duly recording their thoughts, it brought into sharper focus for me how unique and how out-of-touch we’ve been as a golfing nation. The $15 billion number shows a powerful Canadian golf industry that could be much more powerful if only it reached out to market itself around the world. The observations of others on the trip very much echoed Mason’s – we’re being undersold as a golfing destination. I asked Ana Rodriguez, a tour operator from Madrid if she would recommend Canada to her customers. “Yes, of course,” she said enthusiastically. Her emotional attachment to each club we played, to each side trip we made, and to many of the characters she met along the way, only added to her conviction that Canada is a country that needs to market its product to the world. The two Americans on the trip, Wes Bolyard and Larry Berle, both from Arizona, were effusive in their praise of the trip organizers, but saved their best comments for the Canadian golf industry itself. Rob Matthews, a golf tour operator located in Manchester, England, said Canada is a hidden gem. Gerd Schaefer, a German writer from Hamburg, dittoed his remarks. We talked as he looked out from our tour bus to the rolling Ontario countryside. The FAM deftly avoided the big cities, and gave our visitors our panoramic view of the province. I was also seeing things I had never seen before. The courses we played ran the gamut, from high end public facilities like Black Bear Ridge in Belleville, to iconic private playpens like The Briars, first routed out by world-famous course designer Stanley Thompson. It was clear to all of us after an on-course visit to the high-end Wooden Sticks Club in Uxbridge, and after a fast nine-holes at Lora Bay on the edge of Georgian Bay, that Canada’s golf portfolio is as vast as the country itself. “We’ve just dipped our toes in,” I told Mason as he was drying off that morning. Canada is playing catch up when it comes to promoting itself to the golf world, says Mason. When he took his plunge into that spring fed pond at Nestleton Waters Inn, he was doing so to kick-start his day. He didn’t think it would act as a metaphor for our trip. The Canadian golf tourism industry has to take the plunge into the sometimes-turbulent waters of the international golf markets if it wants to someday get a great return on its investment. The way I figure it, we’re more than capable of making a really big splash. Metro Golf Dome will help you plan your trip to Ontario, Canada. 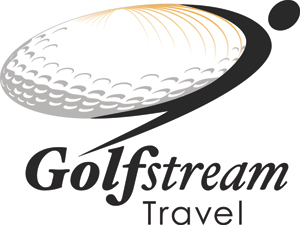 Our Golf club and Golfstream Travel entered into a partnership to provide golf travel to our golfers. Through this partnership we look forward to helping our golfers see the world one tee box at a time. © Metro Golf Dome , 2019 All right reserved.